Fire and smoke rise from the scene of an explosion Tuesday in Nairobi, Kenya. 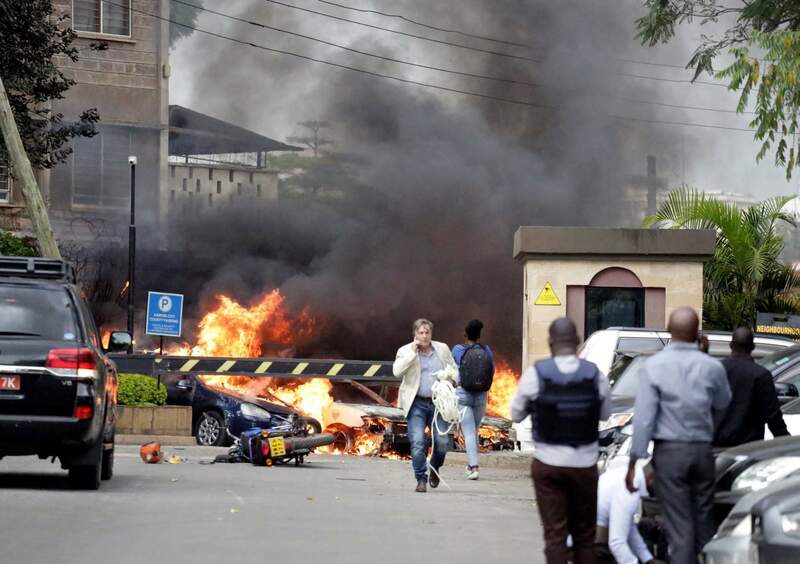 An upscale hotel complex in Kenya’s capital came under attack with an extremist group claiming responsibility. Eight Durangoans arrived safely in Nairobi as part of a 10-day mission with First United Methodist Church. A team of eight Durangoans arrived safely in Nairobi, Kenya, on Wednesday, a day after terrorists attacked a hotel and business complex in the city. The volunteers from the First United Methodist Church are staying on the opposite side of Nairobi from where the terrorist attack occurred and plan to complete their 10-day mission, said the Rev. Jeff Huber. “They are in an area that is not really affected,” he said. During the assault on the hotel and offices, members of the Islamist group al-Shabab attacked with bombs and guns killing at least 21 people, including one U.S. citizen, according to the BBC. An additional 28 people were injured and 19 people are missing. First United Methodist volunteers visit Kenya about once a year to work with widows and orphans, Huber said. “I have been there twice and never felt in danger,” he said. However, church volunteers do not plan trips to the country for a few months before and after elections to avoid political unrest, Huber said. 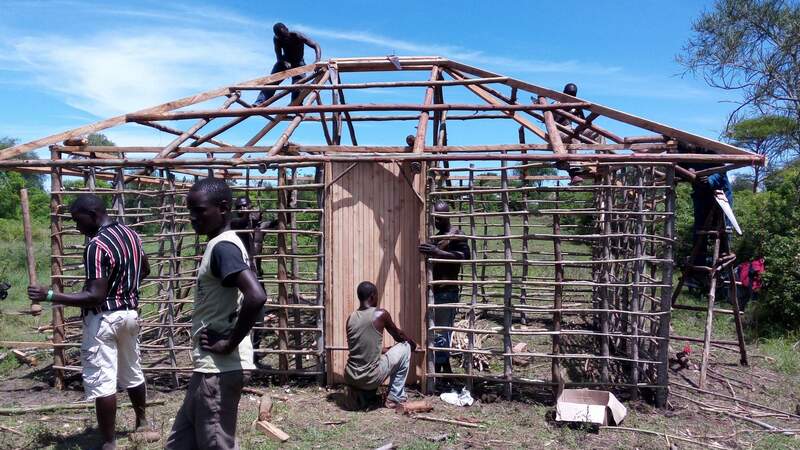 Volunteers from the First United Methodist Church in Durango arrived Wednesday in Kenya and will work on a hut similar to this one. First United Methodist volunteers plan to work with an orphanage and a group for widows called the Jewels of Obaga, he said. The group planned to build mud hut homes as part of their work, he said. The church supports ministries in Kenya year-round and focuses on building sustainable businesses, such as chicken farms, he said. Volunteers from the church travel abroad 10 to 12 times a year, Huber said.